I am a very strong believer in health testing. Why breed a dog that is not healthy or won't produce healthy puppies. No one wants the heartache of being at the vets or the expense of it. 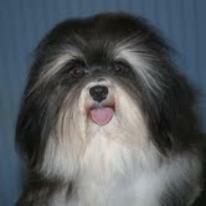 Each breed or variety has different health issues so one must learn what those health concerns are and test for them. Health testing is a huge expense for a breeder. It can cost upwards of $500 per dog for initial testing. 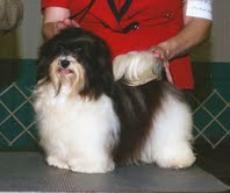 Some tests such as CERF for the eyes, is done every year on every breeding dog. Our dogs each receive this test yearly before breeding. We use vets that specialize in their field for the testing. We have vets all over the area that do each specific test for us. 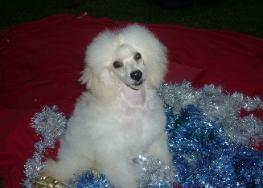 Toy and miniature poodles have had issues with PRA (progressive retinal atrophy) in the eyes. Now with optigen DNA testing for a marker gene we have been able to eliminate this from our breeding program. As most all toy breeds have patella (bad knees) problems all our small dogs are OFA normal on patellas before they are ever bred. 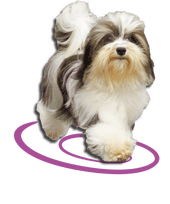 Havanese, miniature and Standard poodles are prone to hip problems and are therefore tested after the age of two (they want to see hips at maturity) for hip problems. Therefore, we do NOT breed our dogs that need this test before that age (unless they are prelimed) as we want to ensure that we are breeding only healthy dogs. Why would anyone want a dog that has a health problem, you may pay a little more upfront for one that has tested quality parents, but it could save you huge heartache and vet bills later. Our puppies come with a 3 year guarantee. This is how confident we are in the quality of our dogs. If something were to go wrong with your puppy genetically, we will replace or pay some of your vet bills. Just see our contract for details. Our breeding boys and girls are checked for health problems. Buyers should request copies of these tests from breeders. Do NOT take their word for it if they just say they are health. Any breeder that says, "my dogs are healthy and only people that have unhealthy dogs need testing," run run run from them. They wouldn't know if their dogs are healthy since they don't test them and you only want a dog that has been checked for PRA, hearing, and is OFA certified. Go to OFA and type in the parents names and see if you get results. Want to keep your pet healthy? Then go to our LINKS page and view and read all the links under health on that page. You will learn about shots, food, insurance, poisons, and more. The future starts now. Today is the first day of the rest of your life!